SAILING Magazine, the oldest continually published American magazine dedicated to the sport of sailing, announced today that it will unveil a new design in its January 2017 issue. A new premium size will allow for preferred newsstand placement and allow advertisers to easily pick up ads previously created for other magazines. A square binding, a new feature for the 51-year-old publication, will give a book-like feel to the magazine known for presenting sailing at its most beautiful. Readers will continue to find all of their favorite features, including award-winning columns from Bill Schanen and Chris Caswell, design reviews from Bob Perry, the most extensive boat tests in the industry, the popular Used Boat Notebook and latest in gear reviews in the magazine. An expanded how-to section will help readers tackle DIY projects and improve their sailing skills. And, of course, there will be feature stories showing the best of sailing photography and writing. SAILING Magazine is independently owned and publishes 12 issues a year from its Port Washington, Wisconsin, headquarters overlooking Lake Michigan. It has circulation concentrations on the United States East Coast, West Coast and Midwest but has readers in all 50 states and at least 32 countries. 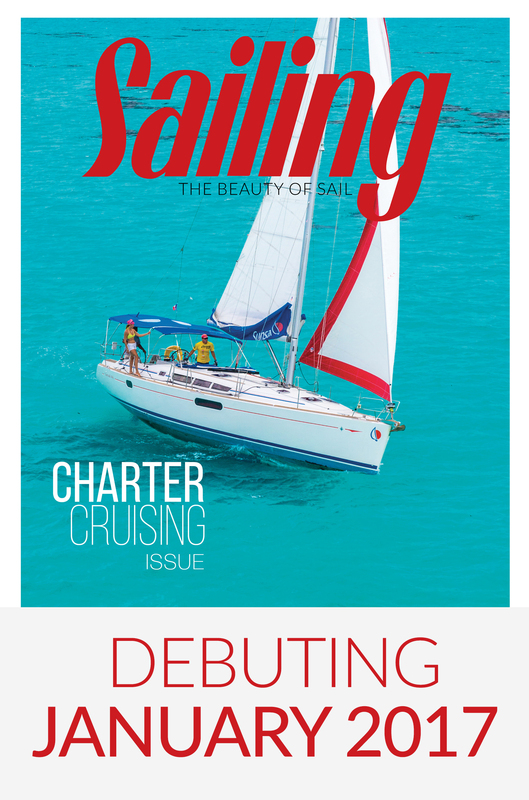 In addition to its printed magazine, SAILING is available through the SAILING Magazine app for iOS and Android devices, and select stories are available at sailingmagazine.net.